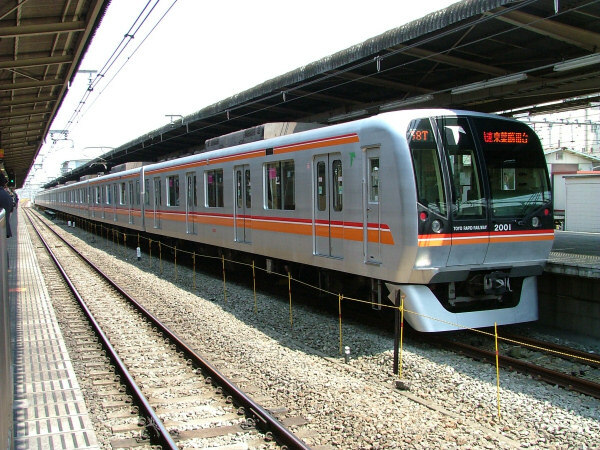 The Tokyo Metro Tozai Line is a subway/above ground train that was built by the Teito Rapid Transit Authority and is one of the three busiest commuter lines in all of Japan. 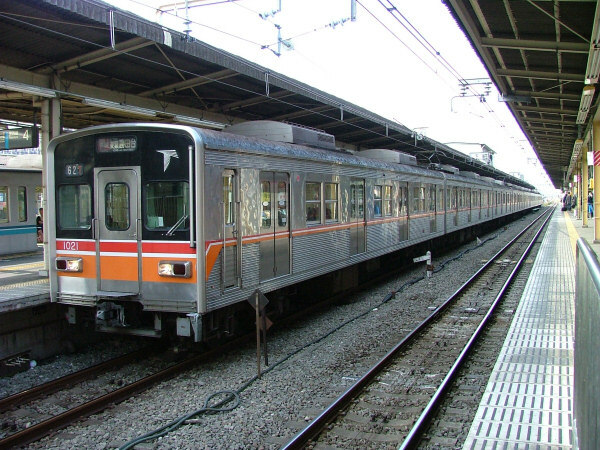 It connects Nishi-Funabashi in Chiba Prefecture with Nakano Station in Tokyo. 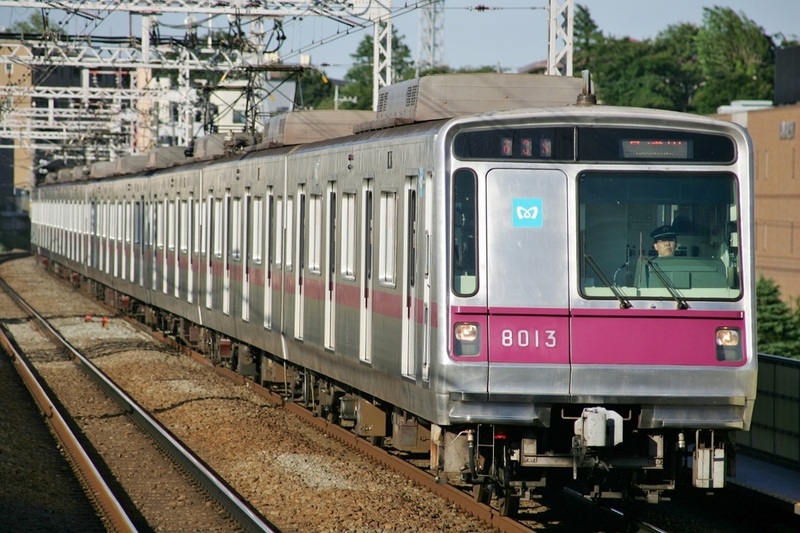 The Tozai Line connects directly with the JR Sobu Main Line at Nishi-Funabashi Station and with the JR Chuo Line at Nakano Station. 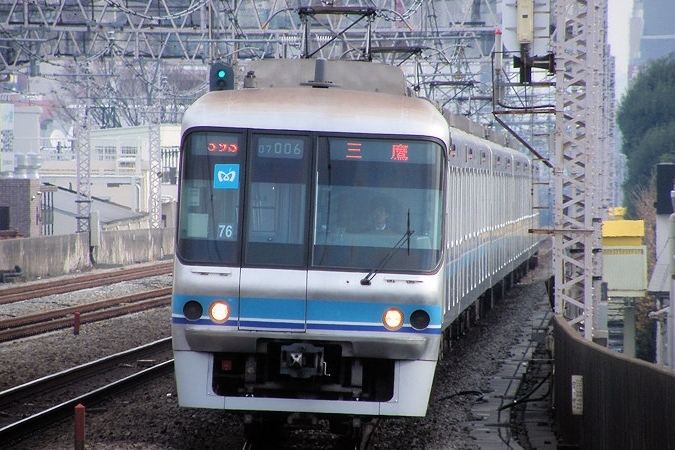 Some trains also connect with the Toyo Rapid Railway at Nishi-Funabashi and head towards Tōyō-Katsutadai. 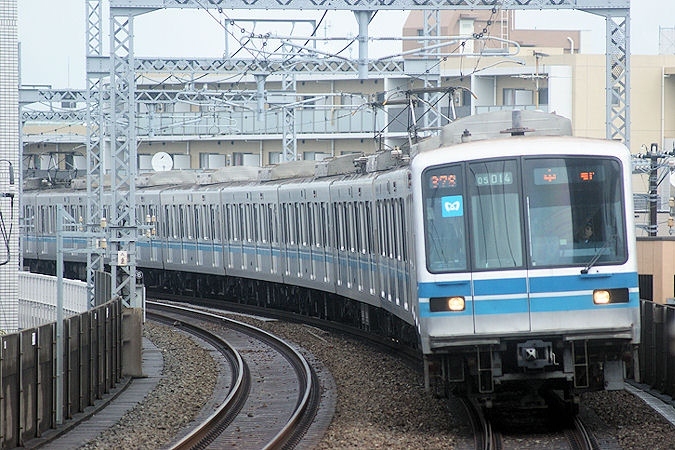 The Tozai Line is a commuter's nightmare with over 1 million riders everyday. Many measures have been taken to try to ease the trouble caused by the crowds including introducing train cars with wider doors. 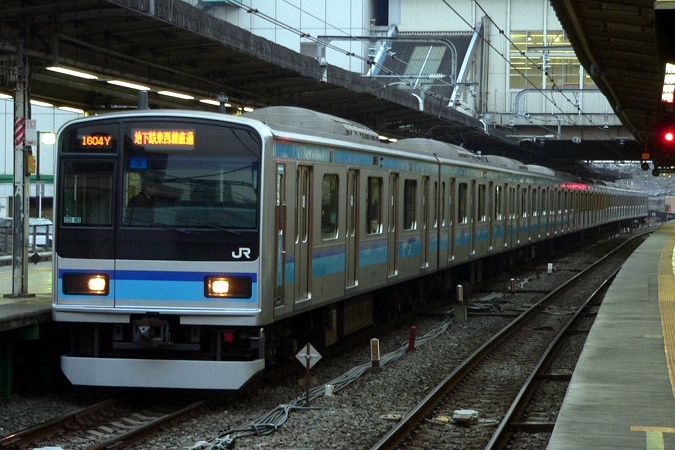 These trains help to decrease the amount of time it takes to board or get off a crowded train. 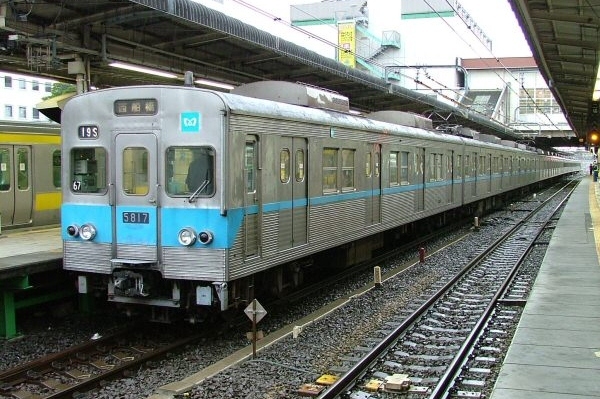 The idea for building the Tozai Line had been around since the early 1900s, but due to the earthquake that hit Tokyo in 1923 and World War II, the plan remained dormant until after the war. 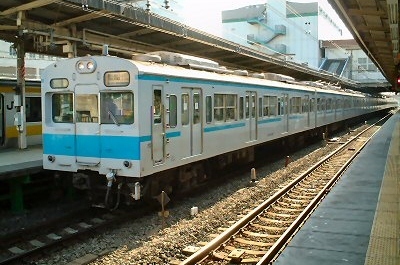 In 1964, the first portion connecting Takadanobaba and Kudanshita was opened with the entire line being completed in 1969. Nishi-kasai station was added in 1979 and Minami-gyotoku followed in 1981. Myoden Station was also built and added to the Tozai Line in 2000. Despite being considered a subway, nearly half of the line is built above ground. This is because at the time of construction, much of the area from Minami-sunamachi to Nishi-Funabashi was undeveloped land. This made building a long above-ground portion more practical than tunneling underneath the area. Nakano is the last stop on the Tozai Line and is one stop west of Shinjuku on the Chuo Line Rapid. 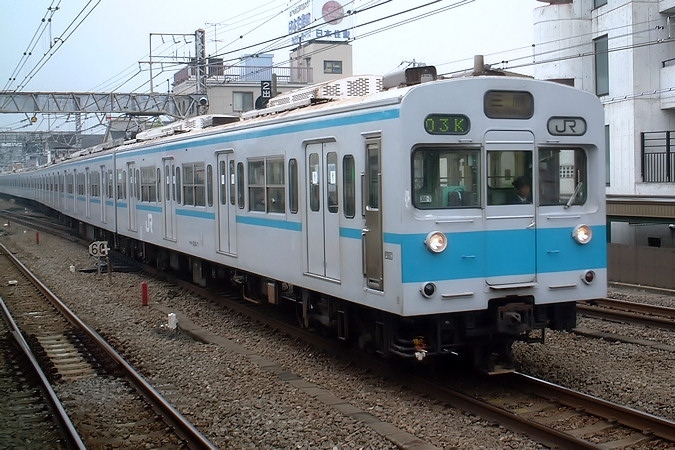 Some Tozai Line trains continue on the Chuo Line as local trains and terminate at Mitaka Station. Note though that the fee for using the Chuo Line is separate. You can change to the JR Chuo Line Rapid and Chuo-Sobu Line at this station. Nakano Broadway, a popular shopping area, is also located near the station. 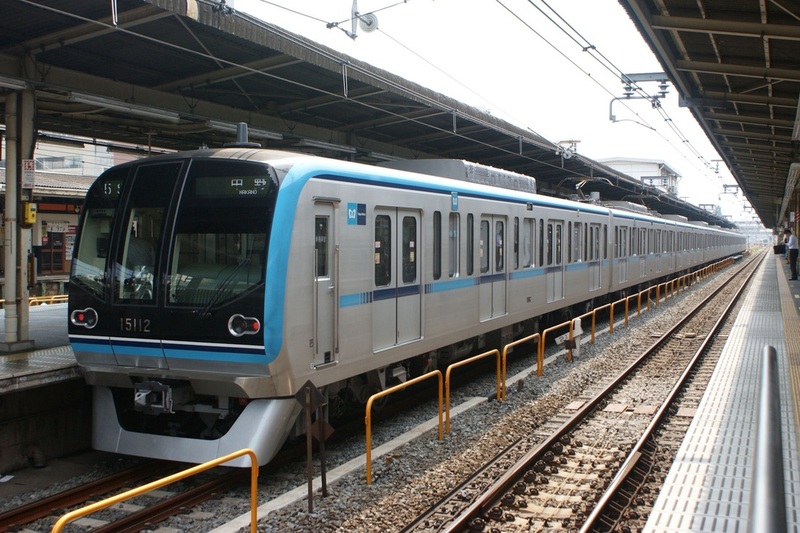 With over 250,000 people using it everyday, Otemachi is the third busiest station on the Tokyo Metro. Many banks, trading companies and media corporations have offices in this area making it one of the economic centers of the country. You can change to the Tokyo Metro Hanzomon, Marunouchi and Chiyoda Lines or the Toei Subway Mita Line at this station.